Zoomer Media Limited has bought a controlling interest in On The Bay magazine for $643,000 in cash. The transaction was announced Thursday in a release. On The Bay is a regional lifestyle quarterly based in Collingwood and serving some 20 communities in southern Georgian Bay; it states it has 50,000 readers and serves 300 advertisers. On The Bay founder Jeff Shearer will continue as publisher of the magazine and, in addition, take over as general manager of Zoomer Media's radio station CFMO-FM – The New Classical 102.9FM out of Collingwood, the only all-classical radio station in the region, reaching listeners throughout Southern Georgian Bay, including Barrie, Owen Sound, Midland, Orillia, and much of central Ontario. “I’m truly excited by the potential synergies between our two like-minded quality-driven local voices to not only work well together but to grow both in audiences and advertising support as they become an even stronger media force in Southern Georgian Bay,” stated Mr. Shearer." Zoomer Media has several other radio properties including CFMZ-FM Toronto – The New Classical 96.3FM, CFMX-FM Cobourg – The New Classical 103.1FM, CFMO-FM – Collingwood – The New Classical 102.9FM, Canada’s only commercial classical music radio stations serving the Greater Toronto Area (GTA), eastern Ontario and Collingwood, CFZM-AM 740 Toronto and CFZM-FM 96.7FM Toronto – a “timeless hits” Station. In addition to publishing Zoomer magazine, claiming to be the largest paid circulation magazine in Canada for the mature market, the company produces online content targeting the 45plus age group, the key one being www.EverythingZoomer.com. It also has a trade show and conference division that produces the ZoomerShows, annual consumer shows directed to the Zoomer demographic and ideaCity, an annual Canadian conference also known as 'Canada's Premiere Meeting of the Minds'. 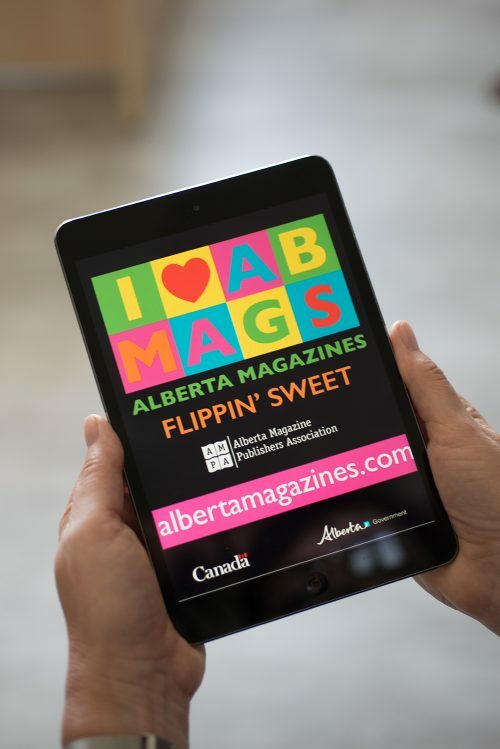 The Alberta Magazine Publishers Association (AMPA) recently unveiled a spiffy, redesigned web and mobile site. "We wanted to give our visitors a clearer understanding of what AMPA does, a better picture of the state of the industry and more regular updates on what our members are up to. They set high standards so we rose to meet them" the announcement said. a Talent Pool, a database where networking can be done. RedPoint Media has been named the publisher of the annual Alberta Innovators magazine, partnering with the Consulting Engineers of Alberta. The new magazine will be launched in tandem with the CEA Showcase Awards, taking place February 23, 2018. 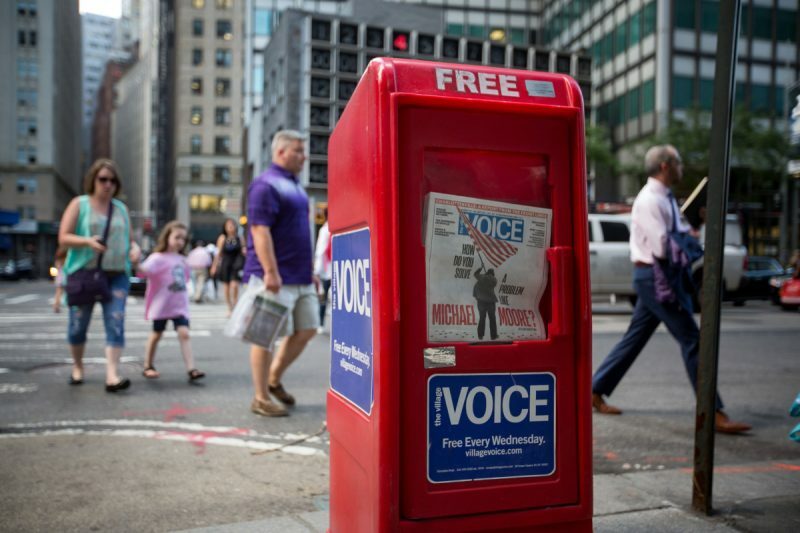 "The end of the Village Voice in print is not a statement about the state of publishing but a morality tale about what happens when a values-based business sells its soul." He says that the takeover of the original Village Voice by New Times. "ripped the heart out of the alt weekly world. When we should have been savoring the glory years before the internet’s assault on our young readers, we were consumed by which of the two companies was courting us." Hollett recalls that NOW was being courted as part of an extended empire of alt-weeklies, a bargain that NOW eventually walked away from when conversations veered from journalism to a 35 per cent return on investment. Jazz Winnipeg's dig! magazine for jazz musicians and fans will cease print publication after its next issue, some 14 years after it was launched. According to a story on the MyToba website, the end of the bi-monthly doesn't mean the end of coverage; everyone involved will be working on independent projects. Jazz Winnipeg will continue to do digital features and other new media hosted on its own website, rolling out later this fall." The Magazine Association of BC has extended the deadline for application for the program subsidizing internships. Visit here to find out about applying and to download the guide and the form. Although the initial deadline has passed, member magazines may continue to submit an application up to early fall for subsidies of up to 80% for half-time internships of 16-22 weeks for 2017-2018. These subsidies are subject to federal funding. Non-member magazines who are interested in hosting an intern are invited to submit a member application form. If accepted, new members may immediately apply for the subsidy. Information on membership eligibility, types and forms may be found here. The print edition of the Globe and Mail will soon no longer be distributed in the Atlantic provinces, according to a story in J-source. Print distribution will end in Nova Scotia, Prince Edward Island and New Brunswick on Nov. 30.The Globe had stopped regional print distribution in 2013 in Newfoundland and Labrador. Globe publisher and CEO Phillip Crawley said that the change will save the Globe about $1 million annually. He attributed the change to the increasing use of digital access which is what is being offered to Globe subscribers as their main alternative to print home delivery. “Clearly we make a judgment on how many subscribers we’ve got in a particular region, what cost that is, and we’ll carry on doing that,” [said Crawley]. Douglas Kelly is now president of St. Joseph Media (SJM), succeeding the retiring Douglas Knight. Kelly, who has been senior vice president of Strategic Content Labs a custom content division he set up when he joined the company three and a half years ago. Previously he had been editor-in-chief and publisher of The National Post. Reporting to Tony Gagliano, executive chairman and CEO of St. Joseph Communications, Kelly will also be joining SJC’s executive leadership team. He will continue to lead Strategic Content Labs, along with his duties as president of SJM. As well, the announcement of Kelly's appointment said VP & group publisher of women’s brands, Jacqueline Loch, will be working with Tony Gagliano to "identify and bring enterprise-wide business opportunities that could include SJC’s other major divisions, Content and Printing," a role added to her current responsibilities. “There is great untapped potential in going to market with an unparalleled range of services offered by SJC’s, Media, Content and Print divisions,” said Gagliano. While the 7-credit certificate program in Magazine and Website Publishing at Ryerson's Chang School has been discontinued, the courses offered definitely carry on. Tune up your skills and interests in the fall term, with courses starting the week of September 11 (204 starts September 9). Taught by some of the best instructors around. -- Adi Ignatius, editor-in-chief of Harvard Business Review, explaining in Folio: how the publication has decreased frequency, interspersed digital "Big Idea" specials in the intervening months. Fewer than a dozen readers cancelled as the result of the change. After almost a year of planning, the Nova Scotia launch is about to happen for The Deep Magazine, Atlantic Canada's online publication featuring long-form journalism. The official launch party is to be on Tuesday, September 12, 7 - 10 pm at the Lot Six Bar & Restaurant on Argyle Street in Halifax. It follows an August 24 launch in Fredericton, New Brunswick at 7 pm at The Picaroons Roundhouse. The Deep was announced last September and a crowdfunding campaign successfully reached $18,500 after shooting past its $15,000 target and has now raised $19,038 from 321 backers in order to launch the online, long-form journalism site for Atlantic Canada. The venture will start by publishing one big story a month in 2017: "sweeping, ambitious, can't-put-them-down Atlantic stories that will stand toe-to-toe with the best magazine writing and reporting found anywhere." MC member magazines in good standing get to spend a day in their office with a seasoned industry professional, tuning up aspects of their business. It's free to Canada Council-funded members and it is a modest $350 fee for all other members. It happens every fall and this year's deadline for application is August 31. There are a limited number of consultations in this subsidized program, based on funding, and so it's first-come, first-served once funding is confirmed. Current affairs magazine sales in Britain have shown significant growth in the ABC figures for the first half of 2017, according to a story in Press Gazette. Halifax magazine is running a beer poll, asking its readers to share their favourites, making themselves eligible for a free year's subscription. The magazine has always has an interest in beer, having recommended 150 different ones last year in HalifaxMag.com. Now they're asking for nominations for the best beers in HRM (Halifax Regional Municipality) and in Nova Scotia. The Canadian Society of Magazine Editors (CSME) is hosting its annual patio party; cocktails on The Pilot’s rooftop patio. It’s just $5 for members and $10 for non-members and that includes two drinks. All are welcome—editors, art directors, writers, social media coordinators and more. August 16, 2017 at 5:30 p.m., The Pilot’s Flight Deck rooftop patio, 22 Cumberland Street (near Yonge & Bloor). Annex Business Media has acquired two new manufacturing titles -- Industrial Products & Process Technology and Process West -- both assets of Swan Erickson Publishing. IPP&T addresses the process products and technology information needs of more than 24,500 process engineers, managers, consultants, purchasing agents and R&D personnel. Process West regionally serves a similar audience of over 10,500 processors in Western Canada. Michael Swan, owner at Swan Erickson, is working with Annex for the foreseeable future to transition the brands. "This acquisition is a natural fit for Annex,” says Annex Business Media COO Ted Markle. “IPPT and Process West will give us a strong foothold in the important Canadian process industry, which includes oil & gas, mining, pulp & paper and food processing. These sectors are lynchpins in our manufacturing economy. They are respected brands with a long history of success and they clearly complement our market presence with our existing manufacturing group." Annex is Canada’s largest business-to-business media company, with 65 brands serving markets from agriculture and manufacturing to resources and professions. The private company’s growing list of offerings includes print, websites, e-news, e-marketing, events, webinars, video, research, printing services, book distribution, and data rental.